It is not a disease. Yes, you are correct. 1880. I bought it a few years ago from my parents in Spain. And not for a fortune. 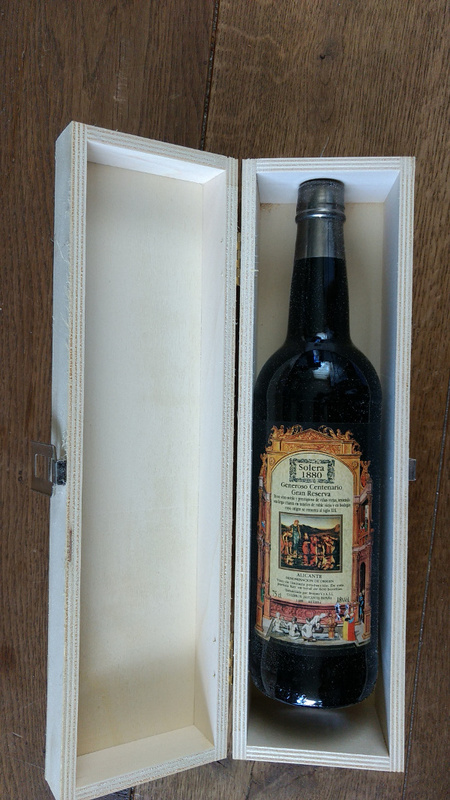 Is it a wine from 1880? Well, yes and no. Solera is a way of blending wine. The barrels of 1880 are placed on the ground. Barrels of 1881 are placed on top. The barrels of 1880 are partly bottled and sold. The 1880 barrels are topped up with the 1881 wine. On top of the 1881 wine barrels barrels of 1882 barrels are stacked to fill the 1881 barrels. A blend of all the years from 1880 and on is created. Obviously there is not much left of the wine created in 1880. But still: Is’nt it a great idea to drink something that has survived generations, crises and all distucting world wars? What is a good time to drink such a wine?